1. State Senator Leland Yee of San Francisco has been arrested by the FBI on public corruption charges, NBC Bay Area reports, citing anonymous sources. KCRA-TV in Sacramento reports that law enforcement officials are raiding Yee’s capitol office this morning. The FBI is also searching locations in San Francisco, the Chron reports. Yee is a candidate for secretary of state. 2. Oakland City Councilmember Libby Schaaf introduced a proposed law yesterday that would allow bicyclists to recover at least $1,000 in damages when they’re abused by angry motorists, the Trib and Chron report. If passed, Oakland would become the fourth public agency in the state to adopt the pro-bicyclists law. The proposal is supported by the group Walk Oakland Bike Oakland. 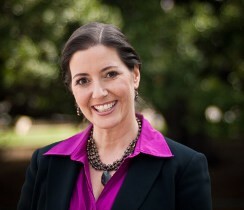 Schaaf is a candidate for mayor this year. 3. City leaders from around the Bay Area are angry about a plan by PG&E to cut down numerous trees on public and private property as part of a gas line safety program, the CoCo Times$ reports. 4. The fired director of the Pacific Foundation, which runs KPFA radio, has holed up in her Berkeley office and is refusing to leave, the Trib$ reports. 5. Banks collected $18.9 million in welfare payments in California last year by charging ATM fees to poor people to access their benefits, the LA Times$ reports. 6. California is now the second most expensive state in the nation for renters — after Hawaii — and renters must make more than triple the state’s minimum wage to afford a two-bedroom apartment, the LA Times$ reports. 7. Two gun control laws in San Francisco have been upheld by the Ninth Circuit Court of Appeals, the Chron reports. One law requires gun owners to lock their weapons at home and the other bans the sale of hollow point bullets. 8. California’s shark fin ban was upheld by a federal judge after Chinese-American groups sued to overturn the law, arguing that it unfairly targets their community, the Chron reports. 9. And Oakland-based solar company Sungevity has formed a business alliance with Sunrun of San Francisco in an effort to compete with market leader Solar City of San Mateo, the Chron reports.